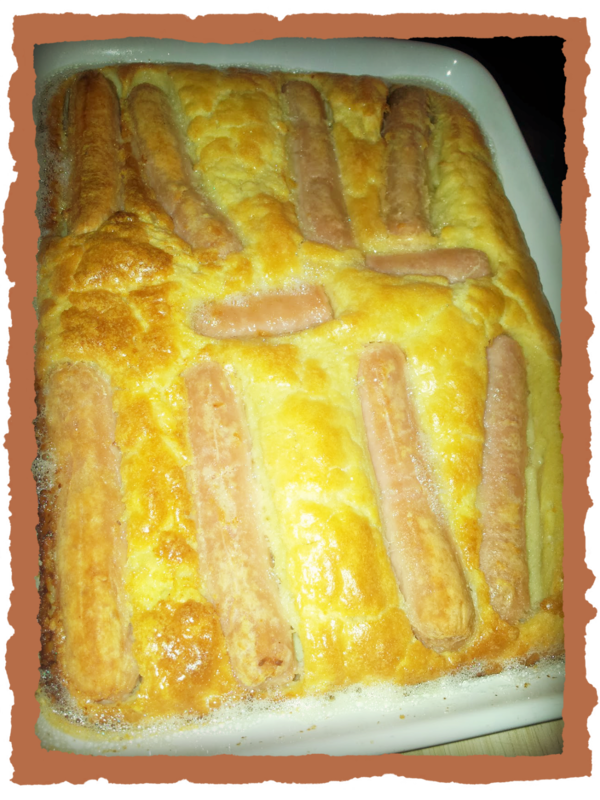 If you see my meal plans (and most others on the link up) you will regularly see Toad in the Hole. 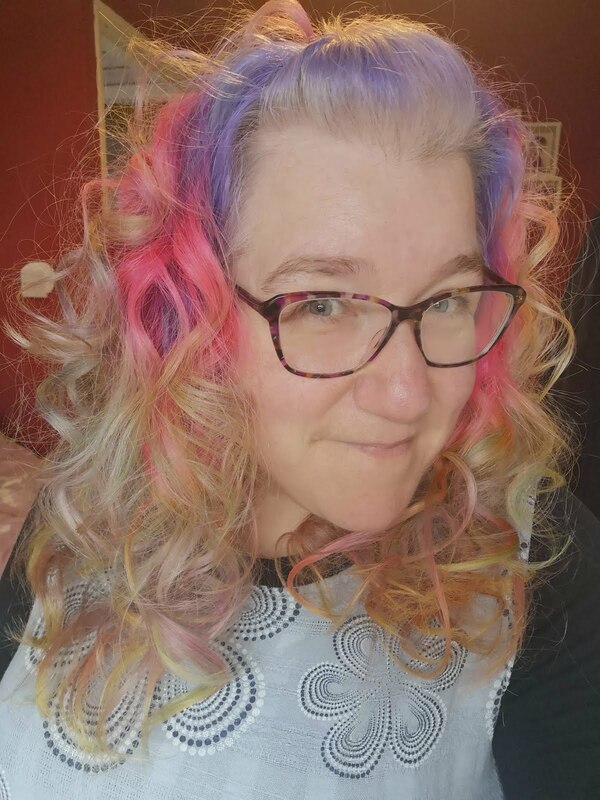 I thought today I would share my recipe for doing it. I would like to state, at this conjecture, I am not from Yorkshire. In fact I've only been there once! I am not stating that my (Yorkshire Pudding) batter recipe is better or worse than anyone else's, it is mine and the way my family likes it. Also, this is in no way healthy. A decent Yorkshire pudding is not really a healthy meal. However, I believe, everything in proportion. Serve this up with plenty of vegetables and boiled potatoes, at least you can fill yourself up with healthy stuff. As you notice above, I have not given quantities for the ingredients. This is because it is all done with the measuring cup I've highlighted in the picture. 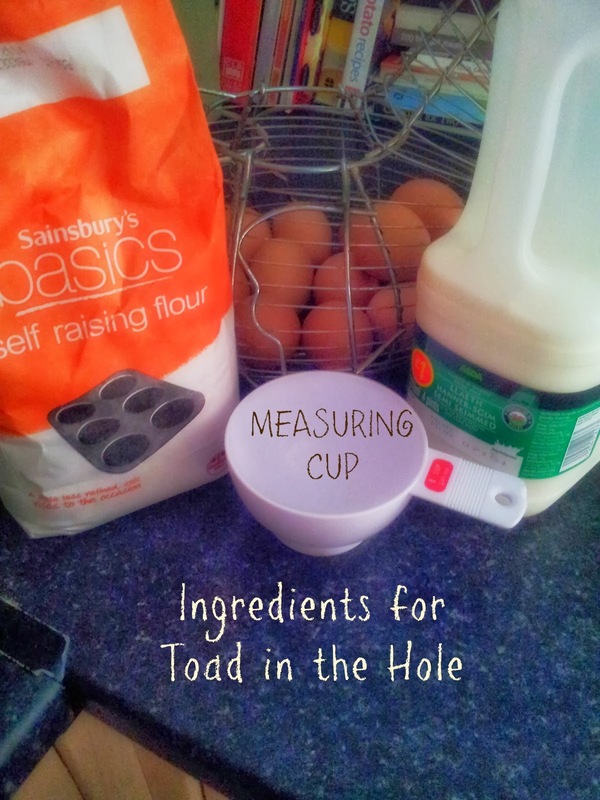 Measure the Flour and Eggs in the cup so that you have equal amounts. Mix the Eggs and Milk thoroughly to form a paste. Then measure the Milk in the same cup, add to the paste and beat thoroughly with a whisk. Leave the mixture to one side. In a frying pan, put the beef dripping and sausages. I used 9, it was for 4 of us, but my middle boy would rather not have sausage. Fry the sausages in the dripping, to give them some colour. This is definitely a 'personal taste' thing. 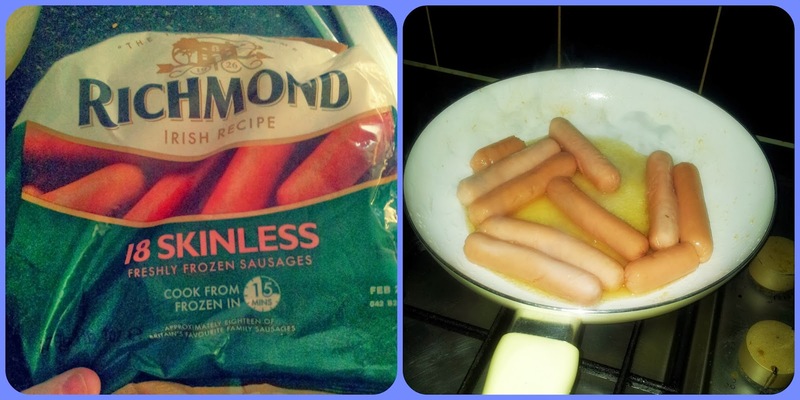 When using the Richmond Sausage and a Ceramic pan, I don't get much colour. That's fine, it's just starting the cooking process. Once the sausages are ready put them and the beef dripping into your chosen ovenware. Quickly pour your batter mix over the top. It needs to go on while the dripping is still very hot. Place the dish in the oven, and bake at the high heat for 20 minutes. After 20 minutes, turn the oven down to Gas mark 6 and cook for a further 20 minutes. Mmmmmm! I will be honest with you, this tastes so good with veg and gravy. This is such a traditional dish and a big family favourite in our house. I really hope you get to try it, if you haven't before. It's such an easy dish to cook and prepare, and my way is super easy. Do share with me if you have a go!